It seems that not only are Joel Klein and company turning their tail and running from their problems. 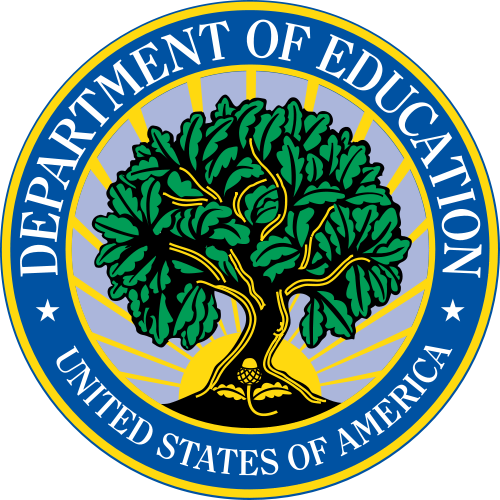 It seems the US Department of Education and Arne Duncan are doing the same thing. I do not want to belittle the fact that in a recession, cuts need to be made. Of course, costs must be diminished in severe economic times. Yet I ask you honorable members one question: How is cutting testing in grades 5 and 8 “appropriate and responsible”, in Commissioner Steiner’s words? If you do care about our high school graduates, who need this knowledge to succeed in the wider world, why take away an effective early indicator of their social studies readiness? Why take away an impetus for instruction from teachers that understand the importance of history, economics, geography and government.? Let us be completely honest with each other. In this world of assessment, if a subject is not assessed in a standardized way, it is not important. Your action has deemed social studies not only unimportant, but unnecessary. Social studies cannot be taught out of the goodness of teacher’s hearts: assessment is necessary to make sure children are ready for higher education. Your action will create children so underprepared that it will make New York the laughingstock of the United States in terms of education. I leave you with a request: please find an alternative solution to this financial problem that does not affect our students. DO NOT blame President Obama or NCLB, for that is an excuse that is too tired to even contemplate. What can YOU, as one of the oldest institutions in the state, predating the US constitution, do to solve this problem? My name is [Mr. D’s real name] and I am a teacher in New York City public schools. I wanted to bring to your attention an inaccuracy in New York State’s application for Phase II RTTT funds. Yet on June 22, the NY Board of Regents voted to approve the suspension of social studies testing in grades 5 and 8, a serious blow to the achievement of our students. In a more specific way, however, NY is now no longer compliant with the criteria for funding. The NY Board of Regents, just like administrators across the country, must be held accountable to their actions. Please make sure NY does NOT get any RTTT funds unless it returns to compliance and restores full testing on all levels. Thank you for your email. We appreciate your attention to the New York Race to the Top application. We deeply appreciate the contributions of teachers like you, who are involved in shaping the education system for our nation’s children. You play the most vital role in ensuring that the next generation is fully prepared for the challenges it will face. Thank you again for sharing your concerns. Now, I don’t blame Jessica McKinney. My guess is that she’s an eager, go get-em intern type that did what she was told and sent me a form letter acknowledging that they did receive my concerns, albeit almost a month late. She probably’s going off to TFA after her internship is up, so watch out Compton or southside Chicago! What I am pissed about is that this problem with cutting testing–while at the same time stating the exact opposite on a federal application for funding–isn’t taken more seriously. Isn’t that perjury? I mean, New York State outright lied to the federal government. Yet it seems that the folks running Race to the Top couldn’t care less. I don’t hate New York: I want it to get the money it should get as one of the larger states. But damnit, it should be doing it in the best interests of children getting a COMPLETE education. I urge everyone in the Neighborhood to spread the word about this tepid response to a travesty occurring among social studies instruction in this state and possibly this country. Race to the Top can be reached at racetothetop@ed.gov. E-mail Jessica directly and see if it helps. 2011* Tisch, Merryl H.; B.A., M.A., Ed.D. 2012* Cofield, Milton L.; B.S., M.B.A., Ph.D.
2015* Bennett, Robert M.; B.A., M.S. 2014* Cohen, Saul B.; B.A., M.A., Ph.D.
2015* Dawson, James C.; A.A, B.A., M.S., Ph.D.
2011* Bottar, Anthony S.; B.A., J.D. 2013* Chapey, Geraldine, D.; B.A., M.A., Ed.D. 2015* Phillips 3rd, Harry; B.A., M.S.F.S. 2012* Tallon, Jr., James R. ; B.A., M.A. 2015* Tilles, Roger; B.A., J.D. 2015* Brooks Hopkins, Karen; B.A., M.F.A. 2012* Bendit, Charles R.; B.A. 2013* Rosa, Betty A., B.A., M.S. in Ed., M.S. in Ed., M.Ed., Ed.D. 2015* Young, Jr., Lester W., B.S., M.S., Ed.D. 2014* Cea, Christine D., B.A., M.A., Ph.D.
2014* Norwood, Wade S., B.A. The Neighborhood is wishing many of our readers the best of luck in beginning the school year. Being that my school year is a few weeks in coming, I still have time to pontificate at length (as opposed to pontificating at shorter length). If you’re in a district like mine, especially one that has sipped deep in the Kool-Aid of balanced literacy and the Lucy Calkins’ Writers Workshop, you’ll be given (or asked to derive) a curriculum map detailing the skills and content to be taught over the course of the year. Social studies will need to be woven in somehow, as the hot topic of the day is making everything “interdisciplinary.” Otherwise, some districts have multiple maps for each subject. One of the components of your board—and definitely your curriculum map—will undoubtedly be standards, the benchmarks and guidelines that define student learning in your school, district or state. 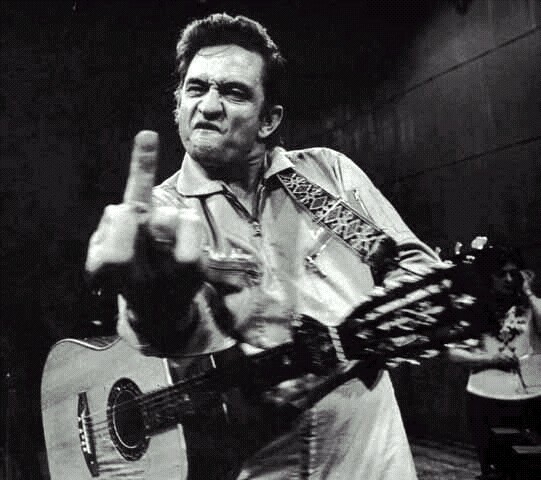 Never mind that standards aren’t necessarily made with any rhyme or reason—it shows you’re following what the bosses want, makes the adminstrators happy, and shows the students that your methods and content were not derived in an insane asylum, but from a central state policymaking body (similar to an insane asylum). If you’re in a panic that you can’t find your set of standards in the pile of pattern blocks and assessment binders, fear not. We here in the Neighborhood have compiled resources that have all kinds of social studies standards at your fingertips—even national ones you can use to impress (or insult) your colleagues. National History Education Clearinghouse Standards Database – Like most of us, I have state standards that need to be addressed; standards that differ from each area of the country. 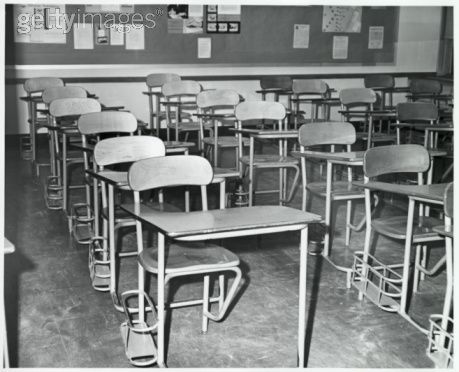 Until we adopt a national standard for history and social studies, we’ll still need these. NHEC has compiled all state standards into a searchable database by grade and state. National History Standards – National Center for History in the Schools at UCLA – Back in 1994, the NCHS, with our friend Gary Nash at the help, created among the first national standards for history. Divided into two main strands (K-4 and 5-12), these standards systematically cover the content and skills needed for both United States and world history. Emphasize on the Historical Thinking Standards, which stress higher-order thinking skills that students need in all subjects, not just social studies. National Council for the Social Studies Curriculum Standards – I only included the introduction because NCSS makes you pay for the whole book (see if your principal or AP has a copy). These NCSS standards are based on ten thematic strands meant to flex with any state basket of content or skill requirements. I would use these more often to complement, not replace, your own state standards (I’d probably do the same with the NCHS standards mentioned before). I’ve also attached a copy of their Teacher Standards for your convenience. Common Core State Standards Initiative – The Core Standards initiative is a state-led effort coordinated by the National Governors Association Center for Best Practices (NGA Center) and the Council of Chief State School Officers (CCSSO). Their goal is adopting common standards in reading and math for all 50 states. Many states have already aligned their own standards to the Core Standards. They tend to be more of the “interdisciplinary” type and not necessarily strictly about social studies. NCSS Effort to Establish Common Core Standards in Social Studies – these aren’t standards, per se, but rather some information about the NCSS working with the Common Core people to create common standards in social studies for each state. Personally, I don’t think it’ll work, but kudos to them for trying. Best of luck with these, and send me pictures of your best social studies bulletin boards. Who knows, they just might make it on the Neighborhood in the future! Cathedral of Seville, early 16th Century. 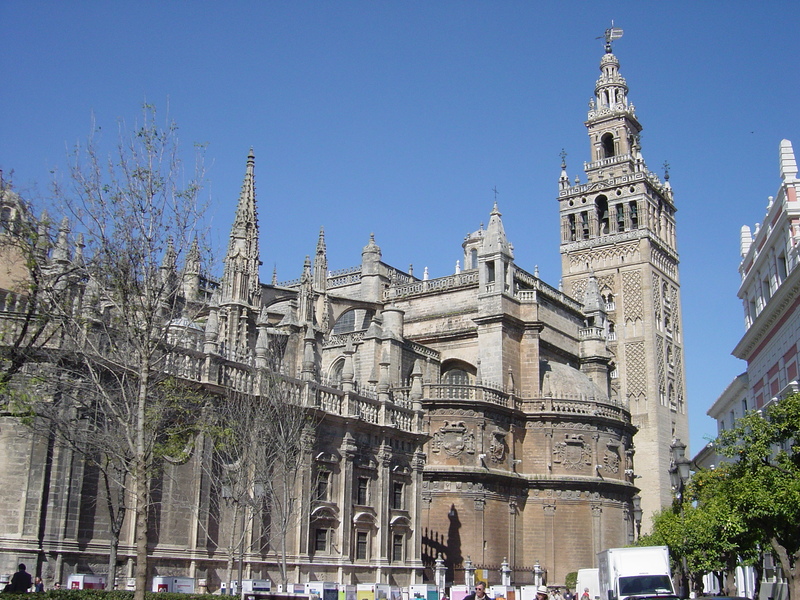 The Giralda, or bell tower was once a minaret for the mosque that was there previously. Whenever the neighbors have their friends move nearby, you know the neighborhood is changing. In most urban (and suburban) areas, this has been a pattern for the last half century: people move in, other people move out, for various reasons. Then another group displaces the last group. Religion has also played such a real estate game over the past few millennia. The recent controversy over the proposed mosque near the Ground Zero site had us at the Neighborhood thinking about how religion played a role in the use of real estate. I, for one, am not convinced that the proposed mosque in that location is a good idea. There are better, less confrontational areas to erect a mosque and promote understanding (isn’t the whole project about avoiding confrontation, anyway?). Yet this is not the first time buildings and religion has collided in controversy. Like a Times Square callgirl, this old broad has had a rough life. 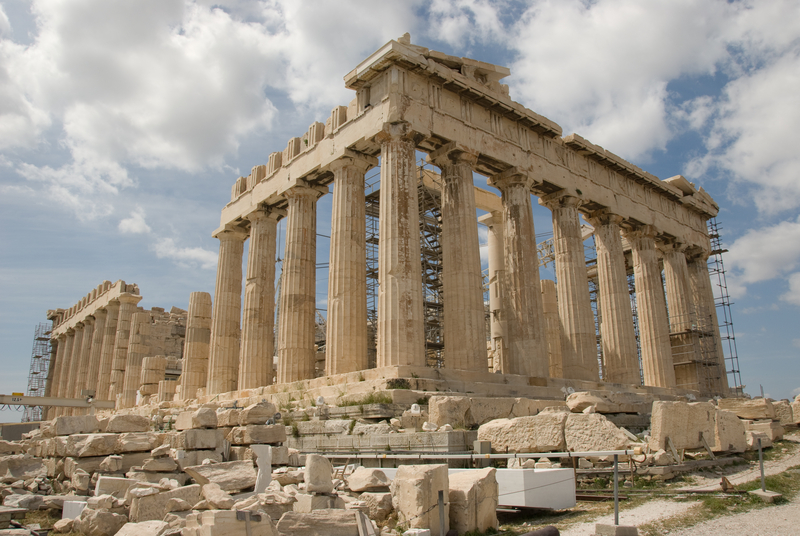 The Parthenon was designed as a temple to the goddess Athena, the protector of the city of Athens. It replaced an earlier Parthenon that was destroyed by the Persians, and also served as the city treasury. Later, under the Byzantines, the Parthenon became a church dedicated to the Virgin Mary, while the Ottoman Turks converted it into a mosque in the early 1460s. After a Venetian bomb exploded the powder stores inside it in 1687, and Lord Elgin made off with the choice goods in 1806, the Parthenon was better used as a backdrop for every Greek diner from Astoria to Chicago. Sure, people fought over the Parthenon, but never was the fight as fierce as for the Temple Mount. According to Biblical scholarship (since archaeological digs are forbidden on the mount), the first Temple of Solomon rose at that sight around the mid 900s BCE. It was subsequently destroyed by the Babylonians, and then rebuilt by the Persians in the early 500s BCE. Herod the Great expanded the Temple Mount in 19 BCE, only to have it destroyed by the Romans after the Jewish Revolt of 66-70 CE. A temple to Jupiter arose from the site in the 130s BCE, starting another Jewish revolt and banning Jews from the city (are you getting all this?). 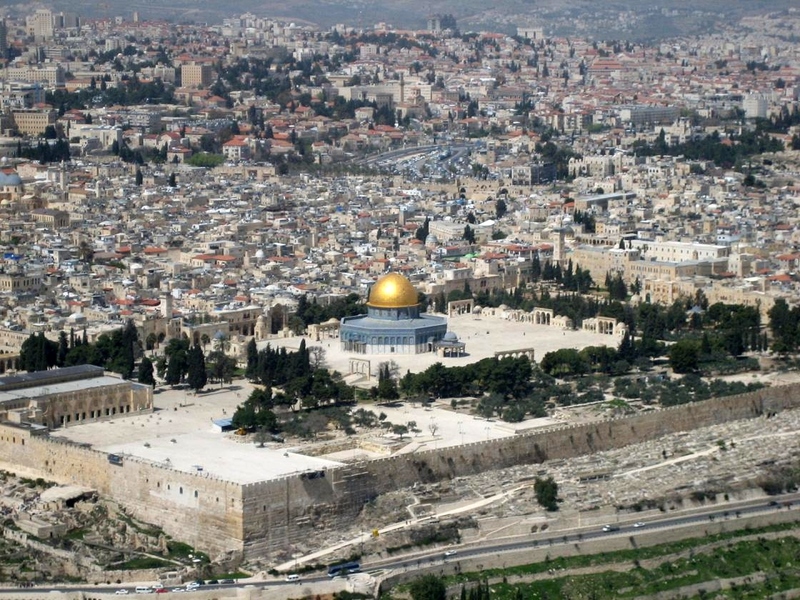 In 325 CE a Catholic church arose on the mount, followed by more churches, and culminating in the building of the Dome of the Rock and the Al-Aqsa Mosque by the Umayyad caliphs in the late 600s-early 700s. Three religions considered the place sacred, and the true ownership and usage rights are still in dispute. You got to give Kemal Ataturk credit here. The first president of the secular Republic of Turkey needed to do something with a building that charged emotions among Christians and Muslims. The building was created by the Byzantine emperor Justinian I and served as the eastern headquarters of Christendom, later the headquarters of the Eastern Orthodox Church. 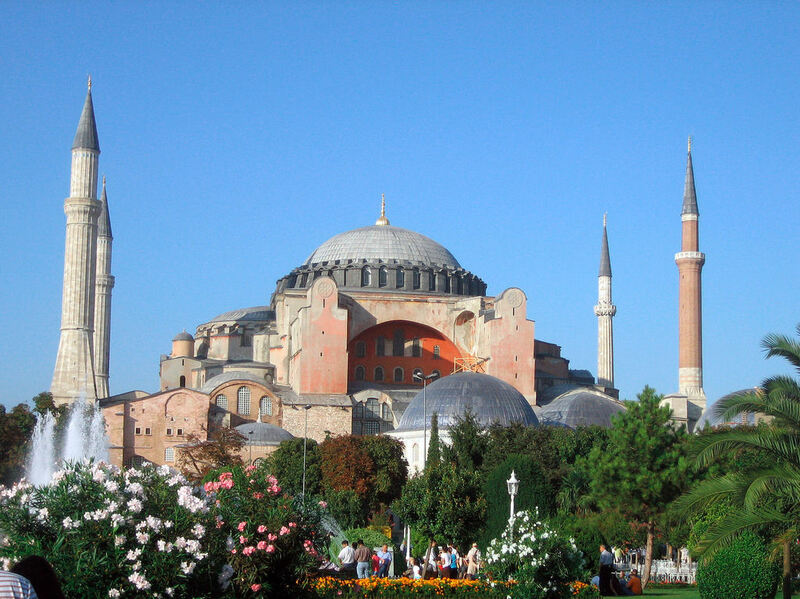 Following the Ottoman conquest of 1453, Mehmed II had Hagia Sophia converted to a mosque, adding minarets, a mihrab, a minbar and also covering up or removing the more Christian aspects of the place. In 1935, Ataturk decided everybody can use it—and nobody can use it, either. He had the place restored and converted to a museum, and no religious group can use it as a place of worship. Since Ataturk controlled the voting bloc that had machine guns, his edict settled the matter. I had the pleasure of visiting the Great Mosque, or Mezquita as its known in Spanish, and it is truly a wonder—even if the Spanish managed to shoe-horn a Renaissance chapel smack-dab in the middle of the thing. Originally a Visigothic church stood on the site where Emir Abd al-Rahman I decided to build a grand mosque. Using the original church as a template, the mosque was enlarged and decorated over the centuries. 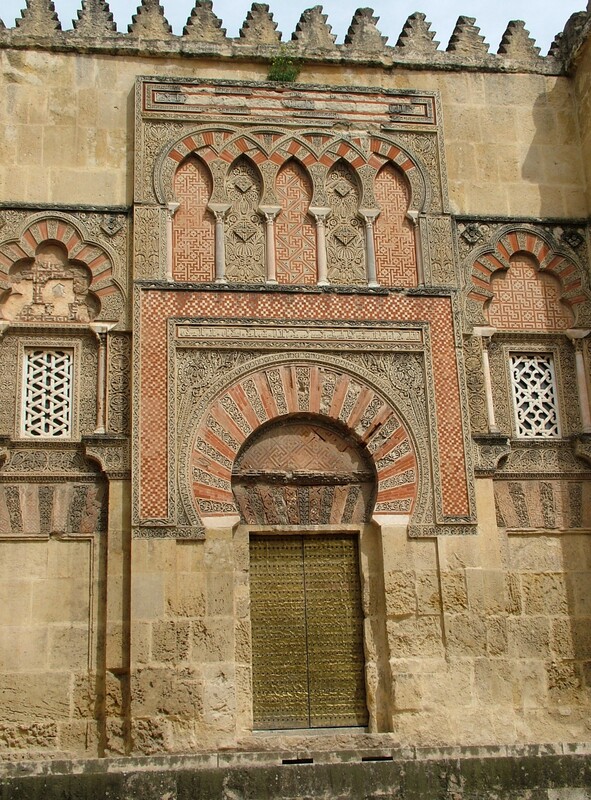 It became the cultural, political, social and economic center of Muslim Spain, known as Al-Andalus (today’s Andalusia). When the Christian kings of Castile took it back in the mid 1200’s, the Mosque became a church again. It’s amazing how much of the original Islamic structure was relatively untouched; that is, until you find the gleaming golden Catholic interior chapel. Even I find it a little garish. The Catholic Reconquest of Spain (1200s-1492) ended the thriving Muslim culture in Al-Andalus. It also shattered the other thriving minority culture in Spain: Jews. There had been Jews in Spain since the Roman period, and they had risen to high places in politics and business. Yet with the Reconquista, and the subsequent Spanish Inquisition meant to homogenize Spanish society under one church, the Jews were now a pariah and a threat. 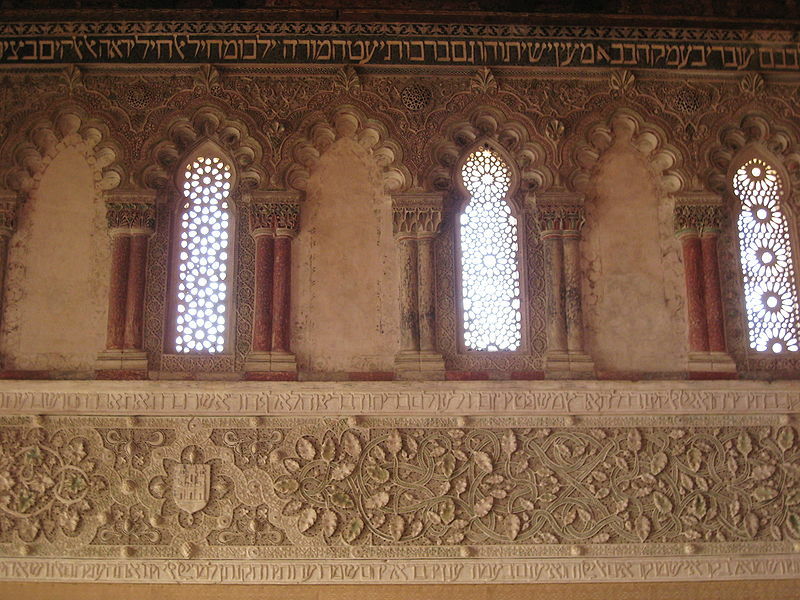 Both the Synagogue of El Transito and the Old Maine Synagogue in Segovia defied Christian laws meant to keep Jewish houses of worship small and unadorned. In fact, both were grand and highly ornate: in the style of the people that tolerated them the most, the Muslim Moors. 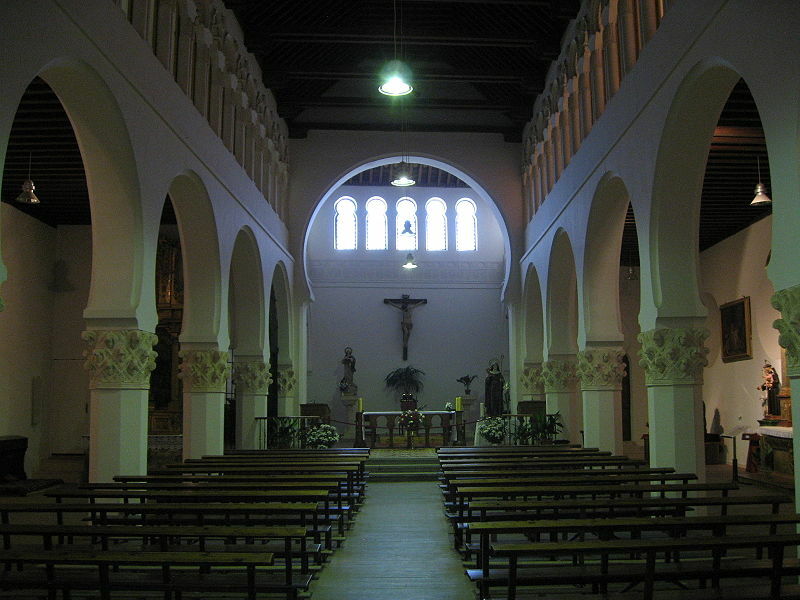 After the Edict of Expulsion in 1492, both became churches or parts of Catholic institutions, although now El Transito is a museum documenting the history of Toledo’s Jewish community. In 1992, a mob of 150,000 rioters, mostly Hindus, settled a centuries-old debate by destroying a mosque that was built over 400 years earlier. In 1527, Babur I, first Mughal emperor of India, built this mosque on the site of an earlier Hindu temple. According to Hindu mythology, the area around the Babri Mosque was the birthplace of the god Rama—even Babur acknowledged this in naming the mosque Masjid-i Janmasthan, or Mosque of the Birthplace. By the 1980s, a new militant Hindu nationalist movement had agitated to purge the area of Muslim influences, culminating in the 1992 riot. A commission released a report in 2009 that blames Hindu nationalists and members of the Indian government for the demolition of the mosque. 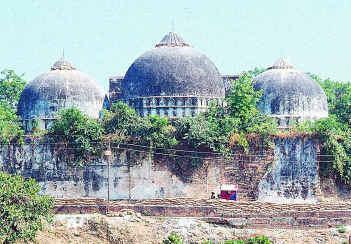 It didn’t settle matters: the debate over the mosque’s history and significance, known as the Ayodhya debate, rages today. All those other stories were so morbid, so let’s end on a good note. In London, particularly in the working-class East End, communities have come and gone over centuries, and 59 Brick Lane in the Spitalfields neighborhood of east London has seen them all. It began as a Protestant chapel for French Huguenots, and it serviced this French exile community for over 60 years. In 1809, it became a Wesleyan chapel for a group ministering to London’s Jewish community. This didn’t last long, as it became a regular Methodist church in 1819. Russian and Eastern European Jews, funny enough, did take over the building in the late 19th century, becoming the “”Machzike Adass” or “Spitalfields Great Synagogue.” As these Jews migrated to north London, the building was eventually abandoned in the mid 20th century. In the 1970s, an influx of immigrants from Bangladesh settled in Spitalfields to find work in factories or textile mills. 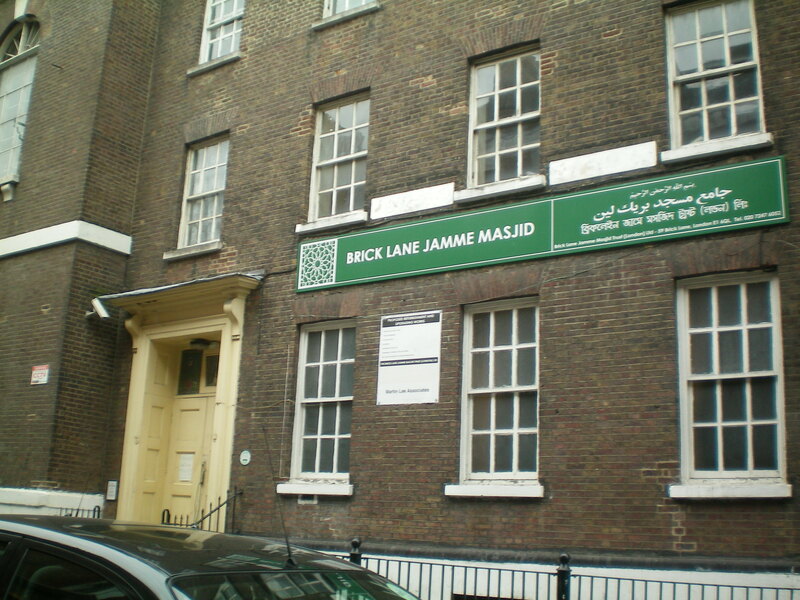 The now-empty 59 Brick Lane then became the Brick Lane Mosque in 1976, which stills serves the Bangladeshi community of east London today.